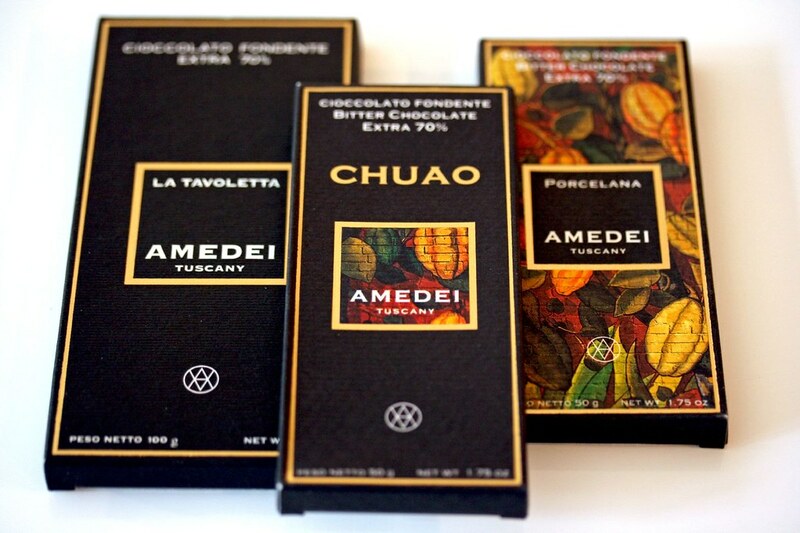 As some of you know, Robyn did me a favor while she was in Italy a couple of weeks ago to pick up some Amedei chocolate when I read this article on the Interwebs while she was overseas. What she got me were three 70% cacao content bars, two of them are single origin bars (the Porcelana and Chuao) while the other was their signature blend (La Tavoletta). The test I’m only reporting to you are comparing the La Tavoletta bar with the five other brands that have something very close to the 70% cacao range and is a blend. 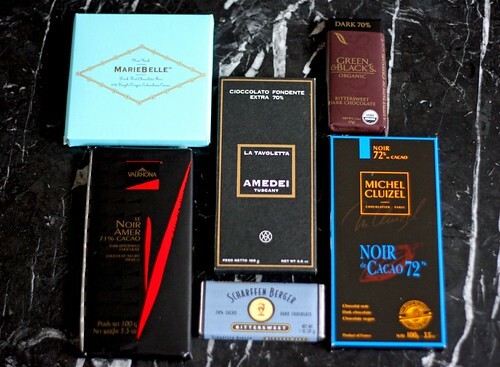 After scouring Manhattan for elusive 70%-ish chocolate bars, I ended up purchasing five bars. (I limited myself to a total of six for this particular tasting just because my stomach could take so much chocolate and how my wallet could take the hit of buying so many chocolate bars.) 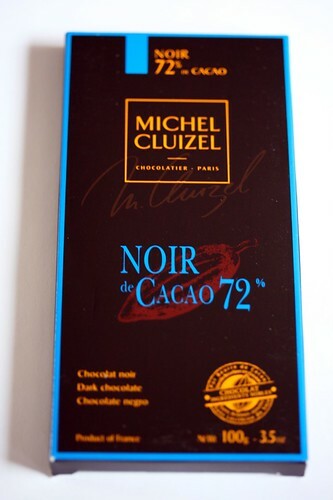 The Scharffen Berger and Green & Black’s were found in Whole Foods on Bowery, the Valrhona was bought in Fairway in the Upper West Side, Marie Belle‘s bar was found in its namesake shop in SoHo, and likewise for the Michel Cluizel 72% Noir bar. I chose these bars mainly because of its reputation since Valhrona and Michel Cluizel are the ones who usually tops at any chocolate tasting publication; Scharrfen Berger to see if it can be as respectable as the European brands (since it is American, based in San Francisco), and Green & Black’s for the sake of it being organic (arguing that it being organic, would it affect the taste and texture of the chocolate?). So what I did for each bar was to leave them at room temperature, which wasn’t so difficult since that’s how I store my chocolate (unless it’s the peak of summer, obviously), break apart each bar into a portion that is reasonable to taste or if it’s sectioned off by the manufacturer, the latter made my life a bit easier. As I was hacking and breaking apart the chocolate, I paid attention to how the chocolate looked and snapped. I know you’re wondering why the heck would I do that? Well, in order for you, the chocoholic who genuinely appreciates chocolate, should notice how well these chocolates were tempered. 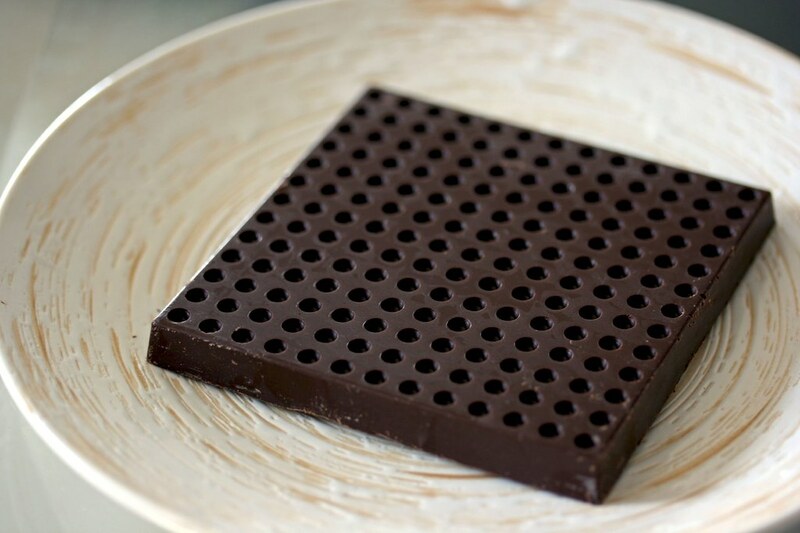 Tempering gives chocolate a shiny gloss, structure, and that “snap” whenever you bite, chop or any physical damage inflicted to the poor bar. You can tell a bar that was not tempered properly when it looks dull, matte, and it’s soft to the bite. So here’s what the chocolate looks like before I munched on them. Just click on the photo to see the names of the individual pieces. So here’s my procedure for each chocolate piece. Pick up a piece of chocolate and hold it near your nose until you smell the aroma and pay attention to what your sniffing there. That’s your key to what you will taste. 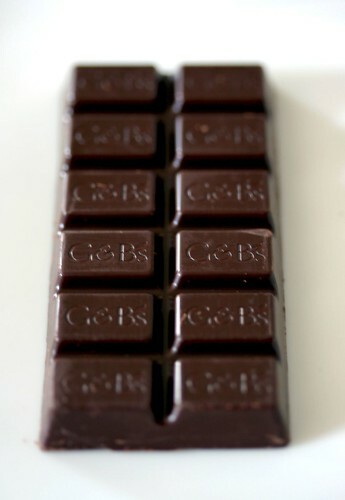 It can be earthy, coffee-like, florally, woody (believe it or not), berry-like, or just good unadulterated chocolate. Take a small bite and let it melt and coat your tongue with that chocolate. Unless you are really voracious and took a big bite, chew it but DON’T SWALLOW! Just coat that viscous sludge all over your palate and pick out the flavors you’re tasting. Does it taste like coffee? Wine? Flowers or roses? Berries? Is it too sweet or bitter? Feel or taste how the flavors change for the next the few moments. It should feel like an ethereal wave of flavors gently caressing your tongue; there should be a beginning, a peak, and an end. Is there any aftertaste after you swallowed? In regards to aftertaste, it’s better to have almost no aftertaste lingering on your palate. That’s how you should “taste” chocolate. If you’re confused about what the hell I’m talking about, just click here for something with numerical steps. Ok, so you’re either munching on chocolate right now or you’re just a lazy bum and expect me to tell you? Well, you’re correct on the latter. 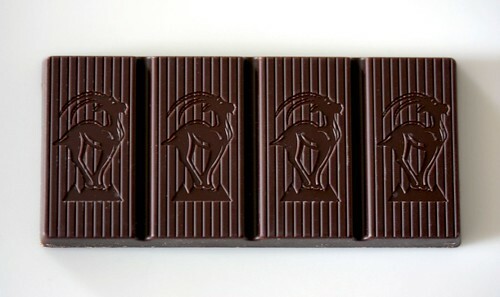 I’m telling you what I tasted and what I really liked or detest from these six bars. Starting off with the Marie Belle (I picked it randomly), it overall did fine. There was a slight “snap” after cutting a bar (with a chef’s knife) that was quite thick. The appearance was slightly glossy, an even, dark brown color, and the strange indentations throughout the bar. I don’t really understand why, but perhaps they have the intention of melting it down to hot chocolate? Anyways, it tasted a bit earthy initially, then it changed to a slightly acidic fruitiness, with a touch of nut flavor (probably from the machines that processed this chocolate), and vanilla. It had a slight bitter aftertaste that lingered for about 5 seconds. Texturally, it was creamy, viscous, maybe velvety. Not particularly my favorite but it wasn’t bad. 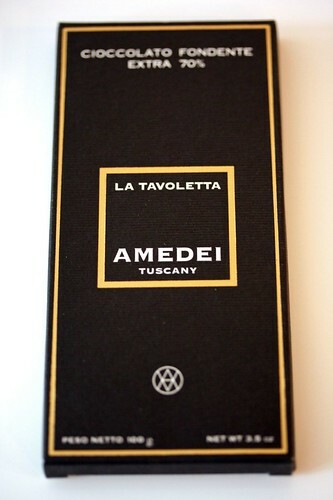 Now, the focus of the tasting, Amedei’s La Tavoletta bar. It strangely smells like grapes and chocolate was as the background. It tasted like raisins, and wine (like dark red fruits such as plums kind of peak out), with a hint of chocolate liqueur and coffee. It’s definitely smooth, fudgey, and creamy. This is terribly good chocolate. The biggest disappointer of the entire tasting was Green & Black’s. The bar smells woody and a faint whiff of raisins. At the bite/melting stage, the woody taste builds up harshly on the palate to a strong tannic profile. It’s really bitter. It then slowly finishes with a musty, earthy flavor. Texturally, this bar was smooth and fudge-like but more along the lines of like licking a spoon of peanut butter, if you know what I mean…and I had to drink as much liquids like I was licking off a spoon of peanut butter (about three glasses of water). The astringent flavors clings unmercifully onto my palate! The bitterness went out of control and they really need to mellow it out more than a couple of notches to make it palatable. Then I made a turn from the European brands (since G&B is based in the U.K.) and go to America, as in Scharrfen Berger. Getting a whiff of their chocolate is pretty darn appetizing: scents of fruits and berries, and a touch of coffee. Taking the typical nibble, it tastes like coffee: dark and earthy at the midpoint, closing with a touch of sweet berries and return to coffee. No aftertaste detected. It’s not bad for an American chocolate company that’s dominated with huge corporations (e.g. Hershey’s, even though Scharffen has been bought by them…). And last and certainly not least, Valrhona. One of the most recognized French chocolate companies around. It had a light floral scent, maybe a hint of herbs. It’s very “crisp;” good mild chocolate flavor (arguably, it doesn’t taste like a 70% cacao bar), with light floral note like jasmine or rose. The floral flavors were gently caressing my palate; not harsh at all. It all finished with a chocolate note. This bar is not meant for the ones who love that strong, in-your-face, deep chocolate punch. 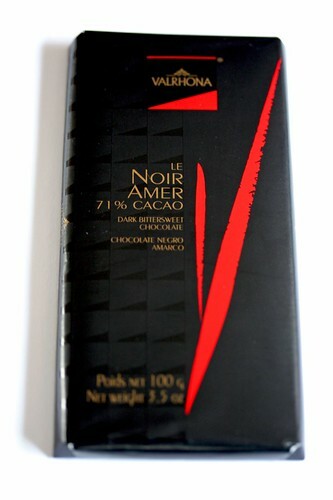 It’s more geared as a good introduction to 70% range chocolates and goes well with wine due to it’s characteristics. So that’s the end of the tasting…if you have no idea what to think in terms of ranking based on my comments, here it is (from best to worst). To those of you wondering if I ate all of the chocolate? No, I have not. I now have a huge stockpile of chocolate that I might be planning to whip a batch of the most decadent chocolate cake I have ever seen, made, and tasted in my life. It’s truly foodgasmic to the dark chocolate lover. It’s been nearly two years since I’ve made that actually…maybe I should make it for meself for my birthday soon. Yummy and very interesting! I’ve never heard of Michael Cluizel’s bars before, where did you get it? 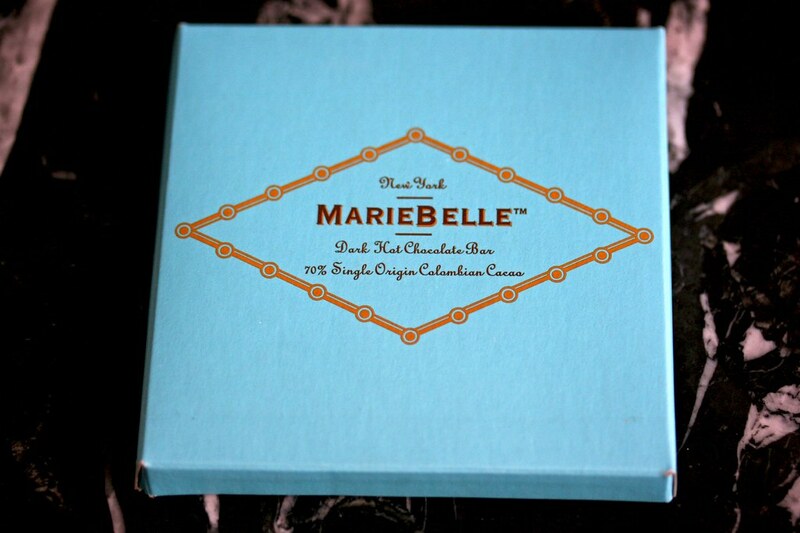 Maria: I got the Michel Cluizel’s bars from the in-store boutique of ABC Carpet in Union Square, NYC. You can get them online from the link I provided in the beginning of the post or just Google it for something cheaper. Thanks for post! You’re truly saving my taste buds, and not to mention my wallet, some major work. The only non-milk chocolate I ever tried was Green and blacks, and I found it uneatable. I thought it was just me since I usually eat milk chocolate, but I’m glad to see there’s better options out there. 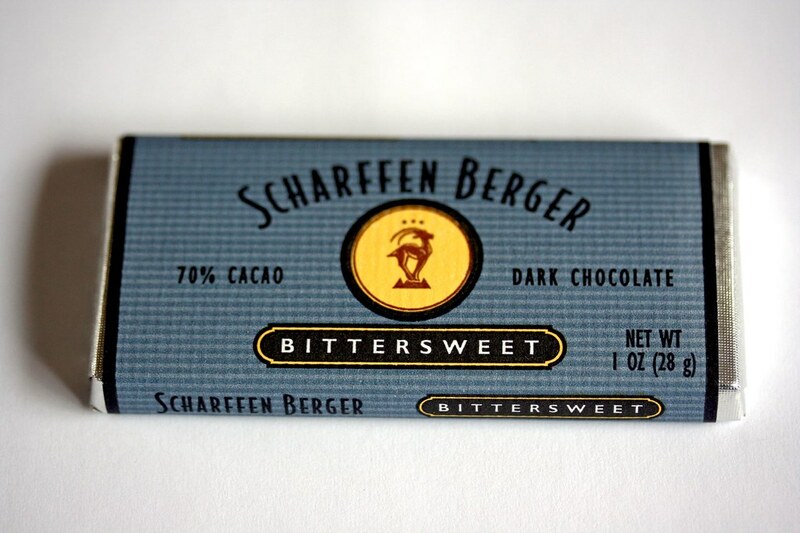 I suppose I’ll get some scharffen bergers since they’re widely available. I’m glad you included some american brands since I don’t think I’ve seen any of the european brands you tested around here (new haven). Chuck: Hmm…I honestly never heard of Amano bars. Heard and seen Theo but never Amano. I’ll keep my eyes open for that. Thanks! Dana: You’re welcome! Yeah, I don’t like Green & Black’s as you can see from my tasting. Ooh…really? Well, I guess you can try to scour your local gourmet supermarket (if you have one) and hope to find some European chocolates. 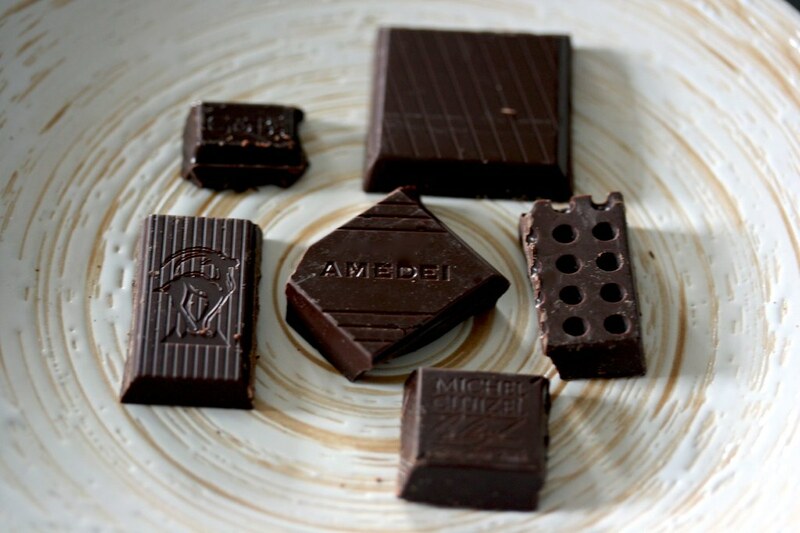 I’m a big fan of the Cluizel chocolates and I’ve tried the full range.. I really think the single plantations are even better – especially the green coloured bar from Saint Domingue. Interesting. I like G&B’s a lot (maybe they changed ever since they got bought out too?) Valrhona’s one of my fav brands, but I can’t stomach the 71% blend. It tastes like cumin or something. Not a fan of Scharffen Berger. 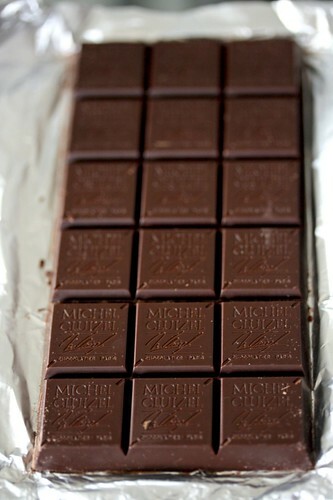 I like some of the Michel Cluizels, but the single-origin bars are crumbly to me. 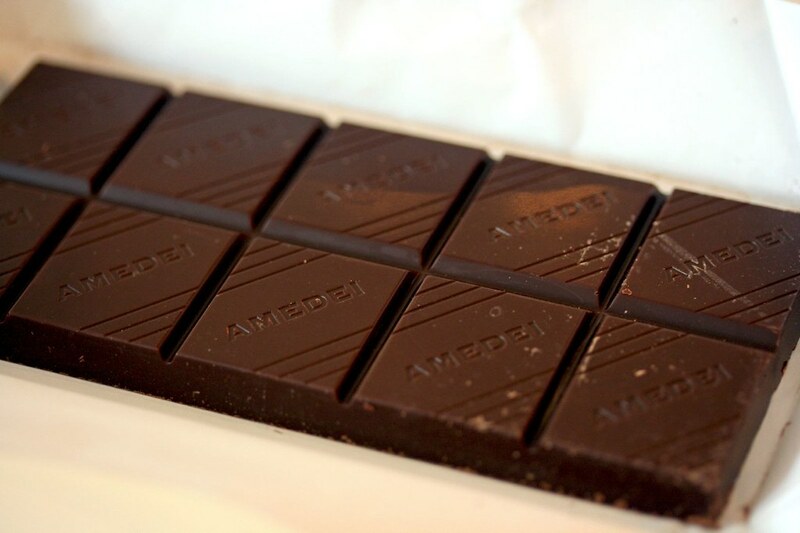 Haven’t tried Amedei, but now I’ll have to get a bar! Oooh yum! Have you ever tried Marcolini chocolates? 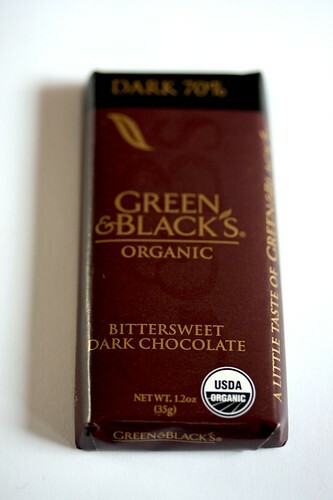 They’re my current favorite, although give me a plain bar of truly good dark chocolate anytime! OHHH! Yummy! Hi I´m from argentina! I love your blog its very interesting to see those gorgeous things hahaa! the packaging its amazing, where I live doesn’t exist, and thanks to this page we can see how people mix design with food…! so thank you! Have you ever try/eat food from here? (sorry for my english, I learn it at school) ale!